Business people in China have a shared mantra, of sorts. Guanxi, which roughly translates to “relationships,” signifies the common practice of doing business with people you know and building a network of mutually beneficial relationships. Based on the principles of guanxi and the fact that China is the world’s most populous country, it seems to be the ideal place for the ultra-personal, face-to-face aspect of direct sales. But the government there has a long, rocky and ever-changing relationship with the concept. But nothing sits still in China’s regulatory swirl. The ban was modified slightly two months later, allowing Amway, Avon and other established companies the chance to remain in the country if they opened retail outlets. They continued operating quite successfully in China during the ban and Amway China’s 1999 sales volume was reportedly double that of 1998. Still, an estimated 30 million direct marketers had just four months to cease operations indefinitely. Devastating news of impending unemployment led to protests throughout the country. Meanwhile, China was busy lobbying for membership in the World Trade Organization, the group responsible for regulating and negotiating international trade among 164 member countries. Potential members must meet a number of requirements in order to join, and in China’s case, the negotiations took 15 years. China officially became a WTO member on December 11, 2001, and one of the economic concessions they had to make was lifting their 1998 ban on direct sales. It took China a few more years to sort it all out, and in 2005, the Ministry of Commerce (MOFCOM) released two-part legislation titled “Regulation of Direct Sales and Regulation on Prohibition of Chuanxiao [Pryamid Schemes].” The new rules allowed for companies to apply for a Direct Sales License from the Chinese government, but only for the purpose of conducting single-level direct marketing—meaning MLMs and pyramid schemes were still expressly forbidden. The 2005 regulations laid out strict rules for direct selling, outlined in 55 separate Articles. For instance, “door-to-door salesmen” must be Chinese citizens, and they can’t be under 18, a teacher or other public servant, or an active member of the military. Payments to a salesman cannot exceed 30 percent of the sales price of products sold directly by that salesman, including commission, bonuses and awards. Payments to salesmen can never be based on how many other salesmen they recruit. Salesmen are required to carry an official selling certificate with them at all times and wear a nametag. Company trainings must be free to salesmen and they must be recorded and taught by full-time company employees. Since products sold by direct sellers in China must be made in China, direct-sales companies must open new factories to manufacture their products. And, only certain categories of products can be sold. The list was modified in 2016 and includes only cosmetics, cleaning products (for personal hygiene or household), health food products, health care equipment, small kitchen implements and household electronic appliances. By 2015, 73 Direct Sales Licenses had been issued to domestic and international companies, and that number more than doubled in 2016 alone, with about 80 more licenses being issued. (This number includes existing license-holders being issued licenses for sales in additional provinces.) U.S.-based health/supplement and personal-care companies with licenses include Amway, Avon, Shaklee, Herbalife, Nu Skin, USANA and Morinda. In 2006, Amway (“An Li” in Chinese) was one of the first companies to receive a Direct Sales License in China, due in part to the fact that they had opened retail stores to continue selling their products in the wake of the 1998 ban. Amway recently reported 2016 sales of $8.8 billion overall, landing it in the number-one spot on Direct Selling News’ Global 100 rankings, but said they “experienced softening marketing conditions in China.” China, however, was still the biggest market for Amway in 2016, with the United States a close second. 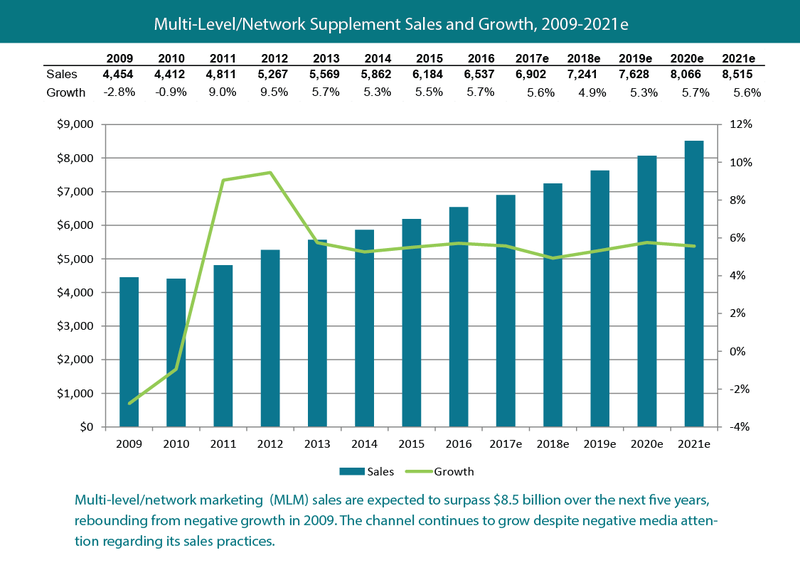 Herbalife, ranked number three on DSN’s Global 100, received its Direct Sales License in 2007. In February of this year, Herbalife chairman and CEO Michael O. Johnson announced that “2016 was a dynamic and record-breaking year,” with an overall increase of approximately 5 percent over 2015 (up 7 percent in China). However, the company—which has seen its share of pyramid accusations back home in the United States—chooses to take a somewhat cautious view of its operations in China, acknowledging that any forward-looking statements in its report could be adversely affected by a number of factors, including “uncertainties relating to interpretation and enforcement of legislation in China governing direct selling; our inability to obtain the necessary licenses to expand our direct selling business in China; [and] adverse changes in the Chinese economy.” Herbalife declined to comment on this story directly. Despite the issues that many companies have faced, direct sales in China are a popular and essential part of the country’s consumer culture. 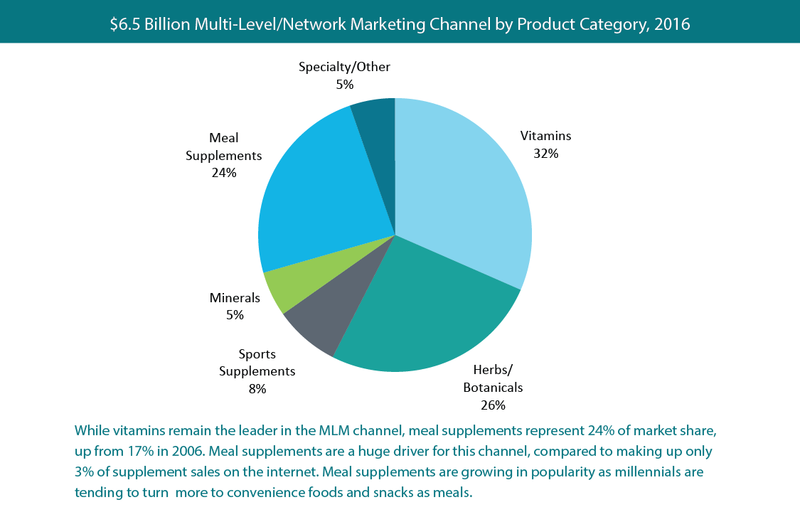 In a June 2016 recap of global direct sales for the year 2015, the World Federation of Direct Selling Associations reported that although the United States had retained its number-one spot—with an annual sales volume of $36.1 billion in direct sales—China was close on its heels with $35.5 billion. And, since China’s market growth rate in 2015 was four times that of the United States, the World Federation of Direct Selling Associations and other industry experts predict that China is likely to take over the top spot when 2016 numbers are released by June 1 of this year. Even with strict regulations, daunting hoops to jump through and an application process that can take years, it seems that U.S.-based direct-selling companies see China as a mutually beneficial guanxi worth fostering.